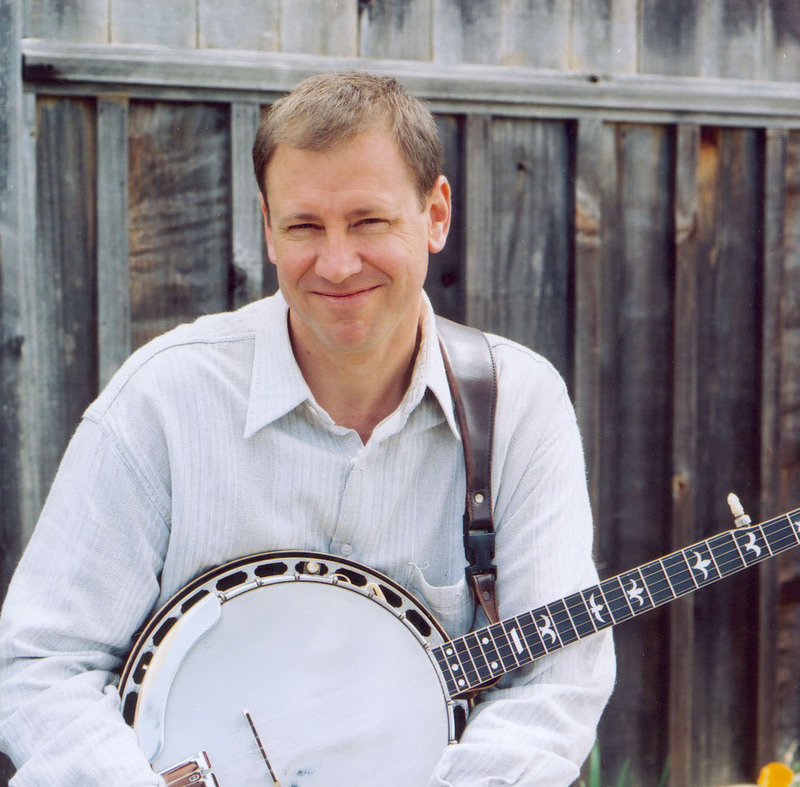 Avram Siegel is widely regarded as one of the most original banjo players to emerge from the San Francisco Bay Area bluegrass scene striving to keep his bluegrass playing fresh and exciting while capturing the essence of the traditional Scruggs style. At the same time he is willing to explore styles outside the bluegrass genre that can take advantage of the rhythmic nature of the banjo. Avram’s musical background is widely varied and over the past four decades as a banjo and guitar teacher, he has developed a comprehensive method that has launched successful performing careers of many California musicians. His stylistic versatility has placed him touring and recording in a wide variety of bands, from the Vern Williams Band and Peter Rowan to the Kathy Kallick Band and True Blue. He can most recently be heard performing with the exciting new bands: The Faultliners and Scott Law’s Bluegrass Dimension as well as an innovative duo with great resonator guitarist, Mike Witcher. In a departure from the bluegrass world, Avram has also been participating with a fantastic unique multi-style cross up celebrating the African roots of the banjo as well as jazz and combining a modern jazz band with traditional African instruments and the banjo and fiddle from the bluegrass world in a band/project by renowned jazz guitarist Pascal Bokar called the Afro Blue Grazz Band.